Let’s get the MBA application season kicked off with Columbia Graduate School of Business– April is early Columbia, I was still on vacation! Well, back to work and with Columbia kicking off the season due, in large part, to its January cohort, it’s time to sharpen the pencils for another MBA application season. Not much has changed since last year with respect to the Columbia application. Grab your Metro Card and let’s head uptown on the 1 train together! Down from 100 characters just two years ago, this is short and to-the-point. If you’re on twitter, or under the age of 30, you should be fine here, just no smiley faces, hashtags or standard web jargon. If you’re a ‘Pinky and the Brain’ fan, maybe you can just tell them you’re going to take over the world! In all seriousness, something quick and to the point like: “Join an industry leading EdTech platform, Admit.me” (awesome people only, please). Columbia gives a few examples that are great resources, just don’t copy them. Seriously – it happens. Admit Advantage: As an MBA admission consultant, I must tell you not to fall into the trap of taking an essay from another school and dropping it in here. This essay does not ask you for a breakdown of your resume, in fact it clearly states that they have your background information. The first question asks for some direction around your career goals. We know (and Columbia knows) you may not exactly know what your career goals are for sure, but you should have a compelling story of what you want to do (and why). The second question really has two parts: 1) why an MBA is important to you and 2) why Columbia is the place to help you achieve the MBA. Why do you need an MBA to achieve your goals? Why not just go after your goals now? Don’t tell me, tell them. Also, talk specifically about how Columbia’s program will help you achieve your ST/LT goals. Admit Advantage: This is a great essay to start with the end in mind. Where do you want to go and what is the best path to get there. Believe it or not, a lot of applicants will stumble here. If you are a career changer with no finance experience, private equity is not a likely short-term career goal. That being said, the same person could transition directly to investment banking with no prior experience and eventually transition to private equity. Not sure if you have a compelling and realistic career goal? – Ask a Question on www.admit.me. Admit Advantage: Definitely incorporate why Columbia will help you achieve your career goals, but you have some additional room to talk about it in the next essay. Clearly fit matters to Columbia, so if some is good, more is better! Admit Advantage: Don’t be fooled into thinking this is a question about why you want to go to business school in New York. If I can copy this essay and insert it into the NYU Stern application, you have failed. 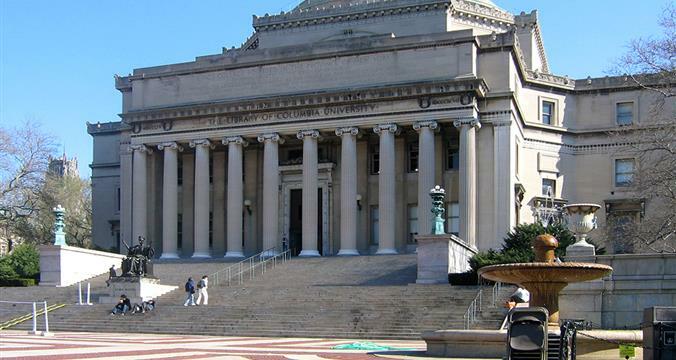 This is about how being in NY, taking advantage of Columbia’s Master Classes and all of the other resources at Columbia, will give you an advantage during your MBA experience. Admit Advantage: Fit is a key part of this essay. We strongly suggest that you visit CBS and get to know what it is all about. Lots of people want to go to NY for business school, but it is your responsibility to make it clear why CBS is the right choice for you. Admit Advantage: CBS Matters is a presentation that you will give to your cluster or others in your class that gives your listeners insight into what has influenced you and what matters to you! The great thing about CBS Matters is that you will get to know the others in your cluster in ways you couldn’t have imagined. As such, it is your responsibility to provide your trial run of CBS Matters and give the reader real insight into what makes you tick. If you do your job right, you may elicit a smile or even a tear from your reader. Admit Advantage: This is meant to be a tough essay to write, but it’s supposed to be about the real you. There are so many life events that may have influenced who you are, why you do what you do, or what you stand for – take this opportunity to share it. Don’t fall into the trap of being a “tough guy/gal” or worried about what think they want to hear. Be you. Just brainstorm your ideas, write them down and don’t forget to answer the question. Best of luck with the reflection – you may learn something about yourself.